If a big, splashy event costs $ 100,000, but nobody photographs it, did it really happen? Organizers routinely hire photographers to capture quality pictures of conferences. From the keynote speaker to panel discussions and networking receptions, the photographer’s job is to document the event, without disrupting it. You might not even realize he or she is there, quietly snapping away. I get this question from people who attend events, people who speak at events, and people who organize events, so it seems worth tackling here. Notices posted throughout the venue explain that photography and video recording are happening, and if you don’t consent to your image and likeness being captured and used, you should avoid the area. 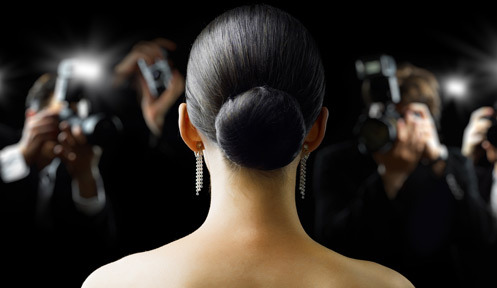 When photographing high-profile participants, like speakers, emcees or performers, smart photographers and organizers will obtain a photo release from that individual. A crowd release might cover these people, or it might not. If the event photographer or an organizer snaps a pic of attendees, the crowd release covers it. If another attendee takes the photo, that presents a separate issue, because the crowd release posted covers only the photographer (or the event organizers) who posted it. Obviously, taking a fellow attendee’s photo at an event without permission is rude, but is it legal? Probably. Typically, the person who takes a photo retains copyright. This means if another attendee snaps a picture of you and tweets it, you can’t issue a takedown notice based on copyright. (It’s their photo, not yours.) You could allege invasion of privacy, but you’re in a public venue, so that claim is unlikely to succeed. The license they specify would allow anyone—organizers, speakers, attendees or other—to use and share the images. Most events don’t do this, but maybe someday they will. After all, the social sharing of photos and content during the event helps to amplify its reach and creates buzz for future events. Let’s say a speaker uses a picture of himself speaking at an event as the banner at the top of his “Book Me to Speak” page. The photographer could issue a takedown notice to the speaker, demanding that the speaker remove the image from the site. But if the speaker never signed an individual photo release form, he could countersue the photographer for using his likeness. Both parties might win their dueling claims (or not: we don’t know all the facts), but ultimately all parties will lose, in one way or another. Now, let’s assume an attendee dislikes a photo of himself that’s up on the event page. If the venue used a crowd release, he has no grounds to get the photo taken down (although a smart organizer would respect their request to remove it). A speaker who wants to use an event photo on his website should get permission from the photographer (who typically retains copyright), and should add a photo credit. The photographer should get a signed release from speakers before using event photos of them to promote their photography services. Attendees should be on their best behavior, because they might be photographed or recorded. And finally, event organizers should get an attorney (or a new attorney) to review their speaker agreements and revise as necessary so that speakers give express permission for photography and recording during the event. They should also consider adding release language to the registration for attendees. Consider posting crowd release forms to address your general event photos, and have speakers sign a photo release authorizing you and the event photographer to use their image and likeness. Watch for notices about photography and recording, and if you’re a speaker, get express permission from the event photographer in advance to use any photos they take of you on your website and on your social channels. Kerry O’Shea Gorgone is a writer, lawyer, speaker and educator. 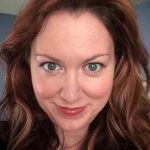 She’s also Instructional Design Manager, Enterprise Training, at MarketingProfs. Kerry hosts the weekly Marketing Smarts podcast. Find Kerry on Google+ and Twitter.